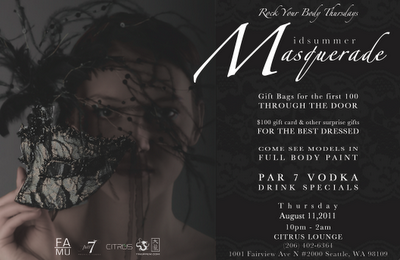 On Thursday August 11, 2011, Midsummer Masquerade took place at Citrus nightclub on South Lake Union. A dozen models were in attendance dressed in couture gowns by Justin Zachary Bartle and Olesya Grabovskaya and wearing jewels provided by Jewel Mint. The club was packed with a couple hundred people. Jewel Mint was showcasing their beautiful jewels for sale. 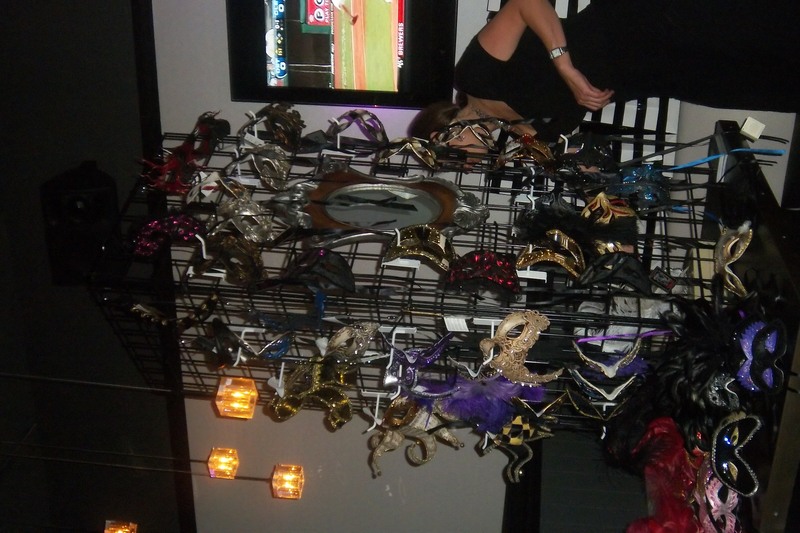 A Masquerade store in Bellevue was also in attendance with their lavish masks available for purchase. The first 50 people received a swag bag filled with great deals and some goodies from the following…. This event was produced by Citrus Nightclub and FAMU. Drink specials provided by Par 7 Vodka. For more info, FAMU (https://www.facebook.com/pages/FAMU-The-Integration-of-Fashion-and-Music/130825683643947), Par 7 Vodka (www.parvodka.com), Citrus (www.citruslakeunion.com), Jewel Mint (www.jewelmint.com), A Masquerade Store (www.amasquerade.com).